There’s no other book like this. 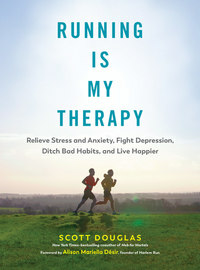 Longtime running writer Scott Douglas marshals expert advice (especially his own, cultivated from more than 110,000 miles of personal experience), and a growing body of scientific research to show how running can make us happier. How? Everyone knows that running builds stronger muscles and a healthier heart; science now shows it also helps develop a healthier brain. For those struggling with depression and anxiety, a consistent running routine can enhance the mental-health benefits of talk therapy, antidepressants, and cognitive behavioral therapy. The key to running’s therapeutic power lies in its lasting physiological effects, inducing changes in brain structure and chemistry that other forms of exercise don’t - including the best mood boost in all of sports, thanks to the body’s release of natural pain-relievers. 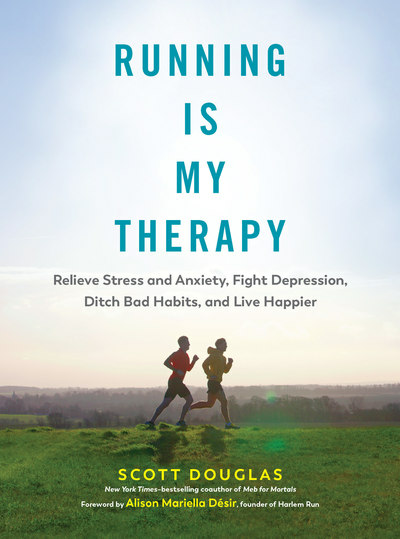 Running is my therapy is no longer just a mantra for seasoned runners; with science behind him, Douglas presents proven methods so that we can all use running to improve our mental health and live happier - in and out of running shoes.